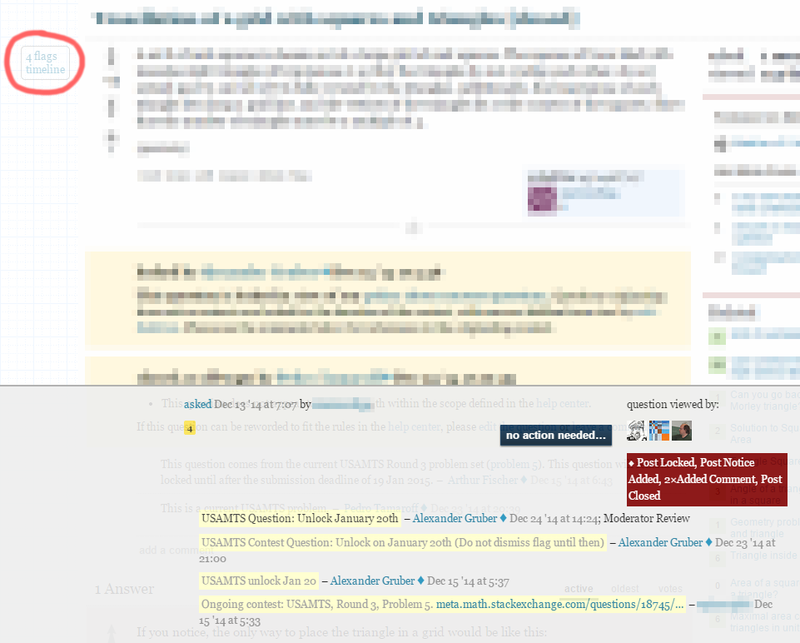 Earlier today I flagged a post, and I was torn between a borderline spam flag and a VLQ flag (or NAA maybe). I decided to flag with a free-form text, and say that I'm torn between these options, asking for guidance. Shortly after the flag was cleared as helpful saying that the answer is "comprehensive" and does not constitute as spam, and it's not VLQ nor NAA. I downvoted and moved on. Few minutes ago I saw that the post was deleted by a moderator, and by looking around, I noticed the post on the "Reviewed" list somewhere indicated that someone had flagged it shortly before that deletion. Do the moderators see previous flags on these sort of occasions? I'm wondering because I wonder if the moderator who deleted the post knows that someone else on the moderator team thought it was not pure junk, and "not worth deleting" (or even flagging!) and in that case, I also wonder if in these sort of cases moderators talk to each other about these sort of things? Needless to say that I have no complaints about the post being deleted; if anything, I would complain that someone (other than the user posting) thought it would be a good idea to keep it on the site. At the bottom we have the "flag bar" which gives information about flags. Here already-handled flags are greyed out, although no information is given about who handled the flag, nor exactly what, if any, actions were taken with respect to any specific flag. It doesn't even mention if these flags were marked as "helpful" or "declined" (or "disputed"). It does indicate what actions moderators have taken on the post in general (in this case the question was locked, a post notice was added, two comments were added, and it was closed), though, again, it doesn't mention who took those actions. On the bright side, we can see which moderators have viewed the post. So, yes, it is possible to see what actions have been taken on previous flags, though it's not as straightforward as one might suspect and can be easily overlooked if one is confident in the action they have decided to take. Not the answer you're looking for? 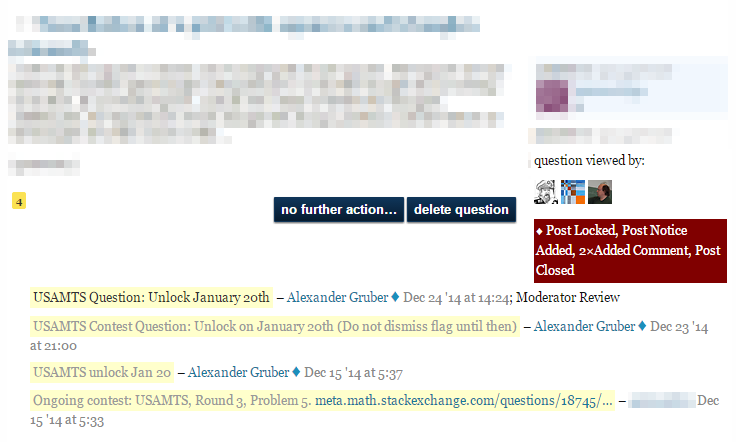 Browse other questions tagged support flagging moderators .